Stop everything you're doing, because we have the perfect Bushwick spot for you to shop for your last minute Holiday presents as well as your fabulous Holiday outfit needs--especially if you and your loved ones appreciate beautiful quality garments with a story. 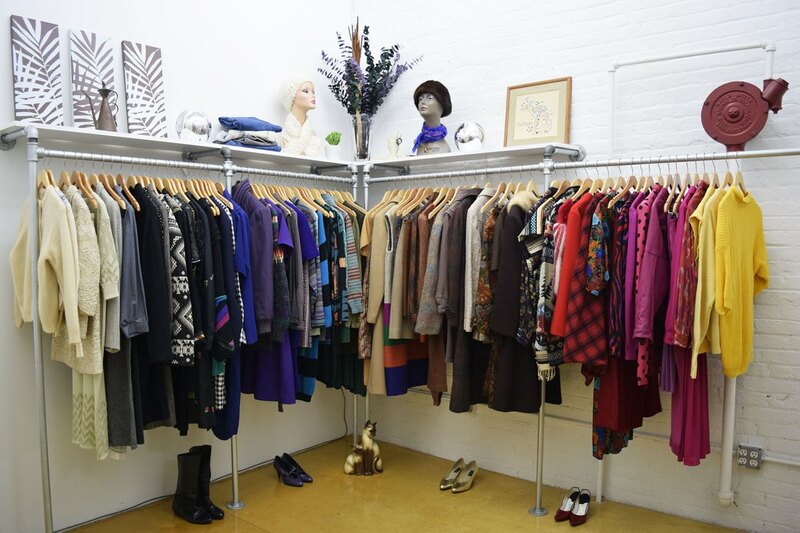 Located inside of the big blue building at the corner of Jefferson and St. Nicholas Streets (side entrance), The Lowry Estate makes it their mission to provide the ladies of Bushwick (and beyond) with access to festive, vintage apparel. "When customers leave The Lowry Estate, they should feel excited about looking their best," told us Corliss Elizabeth Williams, the proprietor of the boutique. "Every piece in the collection is curated to establish meaningful connection with the customer," she added. 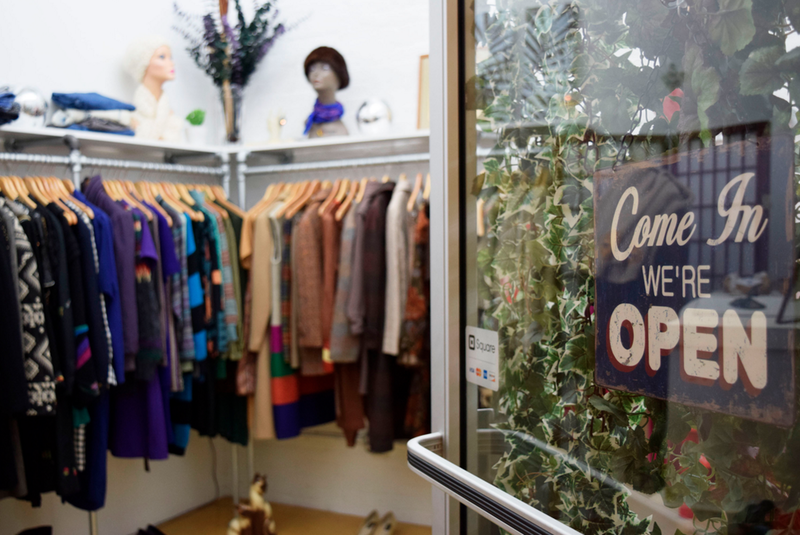 Truly, the shoppers will appreciate the personalized-boutique experience of finding new ways of incorporating vintage into their wardrobe. If you're looking for something specific, Corliss is all ears, "Be it sparkly or a cute everyday piece, I can get it. I'm always determined to find the perfect piece for the right occasion," she said. The best part? The Lowry Estate will be open on Tuesday (12/29) before New Year's Eve, and will offer a 20% discount of all the festive attire for your big, sparkly night. The Lowry Estate, 448 Jefferson Street, buzzer #22, Bushwick. Hours: Wednesday - Sunday 12PM - 7PM, New Years Eve Week Hours: Open Tuesday 12/29-12/31 from 12-8PM, they will be closed on Christmas Eve and Christmas Day; personal styling by appointment. Follow The Lowry Estate on Instagram.